Bob Ross's Tabletop Easel, constructed of natural hardwood, is built with an "H" frame architecture for stability and support. A channeled center mast raises and lowers the canvas carriage. Rubber grippers secure the canvas so it won't slip, even with heavy-handed brush strokes. Tilt adjusts from 0° to 106°. 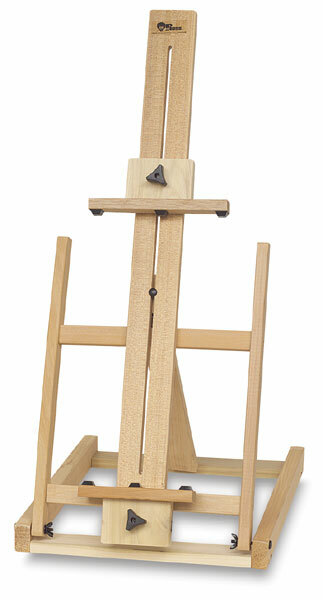 The easel folds down flat for storage.